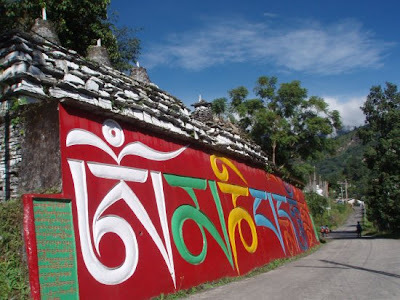 Tashiding is a small village situated in the Western part of Sikkim and is regarded as the most holy land on earth by the followers of Tibetan Buddhism. The village has a monastery which is popular with the name of Tashiding Monastery. It is one of the oldest monasteries of Sikkim. Constructed in 1641A.D, by a revered Saint Ngadak Sempa Chempo of Ningmapa sect of Tibetan Buddhism is also a National heritage site categorized by the Ecclesiastical Department, Government of Sikkim. The word Tashiding in Tibetan means depth of auspiciousness. As stated above, the place is regarded as one of the holiest place by the Buddhists around the world. Tashiding is surrounded by four holy caves from four different directions which is the prominent facet to make this place the holiest one. In the East of Tashiding, Shar-chog-bey Phog (Phog in Tibetan means Cave) is situated near Ravangla. On the Western part of Tashiding, there is Dechen Phug at Darap Nambu. 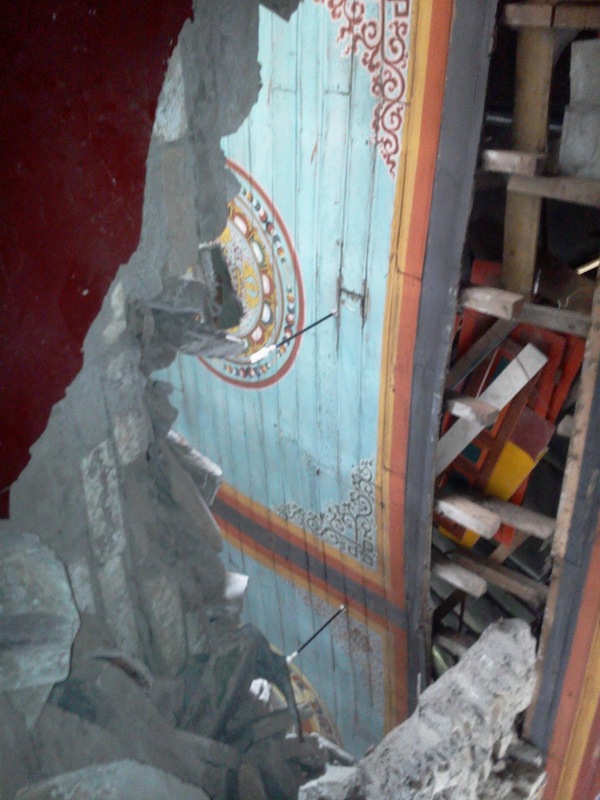 Similarly, Lharing Nying Phug at Labdang Tashiding is at the northern direction of sacred Tashiding Monastery. Finally, Lho- Khandro Sang Phug at Reshi/Legship is in the southern part of the shrine. It is also said that Mahaguru Padmasambhava, who is also known as Guru Rimponche in the Tibetan Buddhist world has also blessed this place in the 8th Century A.D. Thus, the place is a sanctified, exalted and sanctimonious not only to the Buddhists of Sikkim but to the entire Sikkimese populace who are now interweaving themselves in a yarn of a common Sikkimese culture. Being one of the oldest monasteries of Sikkim, the historical importance of Tashiding cannot be overlooked. Tensung Namgyal, the second king of Namgyal Dynasty (that ruled Sikkim from 1642 to 1975) was born at Tashiding in 1644 A.D. The latter shifted his capital from Yoksam to Rhabdentse after his consecration in 1670, as the Second Ruler to the Namgyal Throne. Further, Tashiding was also sanctified with the elegance of Rikgzing Goedem Chen in 12th and 13th century who had come to Sikkim from Tibet. 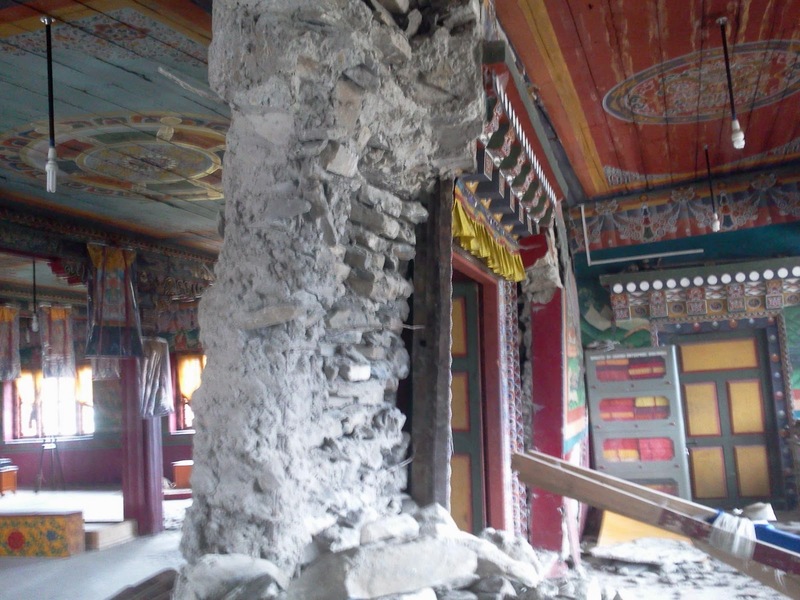 This revered Lama has constructed a monastery at Nesha Paohungri, which still has its ruins at Nesha, north to present days’ Tashiding Monastery. Had this monastery been in a standing position it could have been regarded as the oldest monastery of Sikkim. Presently, this position is enjoyed by Dubdi Monastery of Yoksam in West Sikkim. It is said that, Rikgzing Goedem Chen divulged many treasures hidden by Mahaguru Padmasambhava in Sikkim. Being a hallmark of Tibetan Buddhism, Tashiding monastery observes a pious festival of Bom- Chu which dates back to 1641 A.D. The literary meaning of Bom-Chu is Holy Vase Water. It is believed that, the vase on which the Chu or Water is contained was made by Guru Rimponche himself. This festival is celebrated here on the full moon of first month of Tibetan Calendar. The place with such a historical importance was also greatly shaken by the recent earthquake occurred on September 18th. The devastating earthquake has destroyed its ceiling, walls and even its floor. 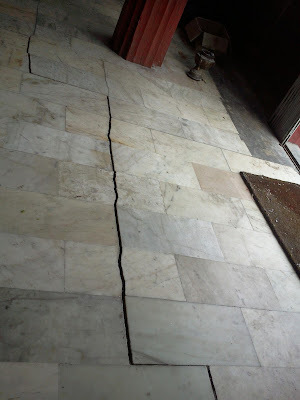 The earthquake measuring 6.9 Richter scale has nearly put down the structure on the ground. But, possibly due to the immense faith of the Sikkimese towards this shrine, the Tashiding Monastery is still standing and blessing the entire Denzong Valley. The locals and monks of this monastery have recently conducted a Menlem (prayer) in the name of the departed souls, who lost their lives in the catastrophe of September 18th in Sikkim. 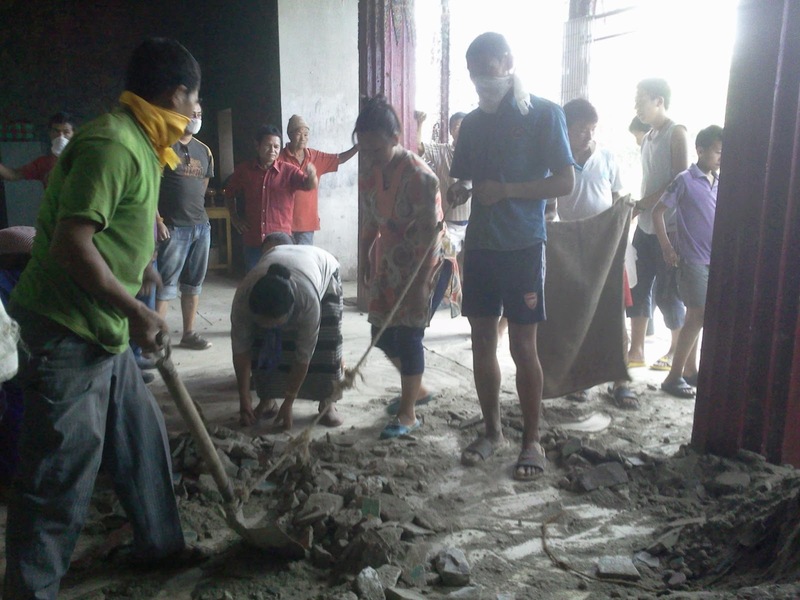 It also conducted Dok-Thap (Puja to protect Sikkim from such cataclysm) from 4th of October to 6th of October 2011 praying his Almighty to protect this tiny Himalayan state from any such devastation.